Smallwood’s Yachtwear is an industry leader in the yachtwear industry, in fact, they coined the term. The team at Smallwood’s approached us looking to build out an e-commerce store that would not only allow them to conduct business online, but truly establish and solidify their branding, positioning them to truly grow their awareness internationally. 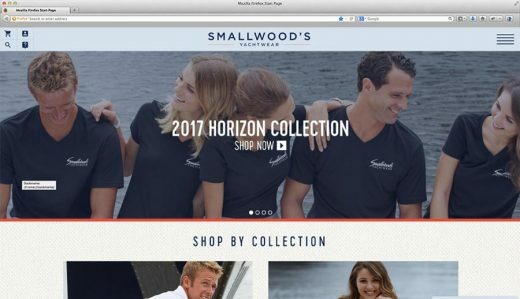 The Smallwood’s website was built using Magento 1 as an e-commerce backbone and utilizes a fully custom user experience design, custom Magento theme, and a number of customized functionalities on both the front and backend.